Maybe to see his former players? Would USF arrest and detain him for crimes against the University? He's in Tampa we know. I don't think he'd walk right in, but if Michael Kelly was involved, it would have been an opportunity to bridge the divide. Also, last night's player reunion would have been an even better opportunity to let Jim back into the program he built. His players were there. What are the chances that USF has the courage to address this wrong? 0%. Texas Tech unofficially tried it with Mike Leach and bombed. Too much risk for some university types. He was terminated. 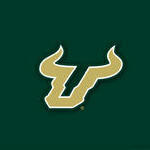 Maybe USF could have a promotional theme with terminated coaches? Heath, COA and Jim. It may put butts in seats. Wrongly terminated in some eyes. Either way, as pointed to before, other schools have had similar situations and recovered from them.